Kal Jon Bergendahl is an accomplished bassist, composer, arranger and educator. His soulful and energetic playing has gained him attention as a top-notch area bassist. Kal has both an Associate Degree and a Bachelor Degree in Music. Kal has been playing electric bass since 1987 and performing in the southeast Wisconsin music scene since 1997. Kal began teaching bass in 1996. In addition, he is a founding co-director of Living Light School of Worship, which began in 2001. There, he teaches song writing, electric bass, ensemble classes, exploration of worship and personal development. In 2004 Bergendahl formed The Kal Bergendahl Project (KBP). The group has recorded four albums while featuring over 25 musicians in that time. Kal Bergendahl was born and raised in Kenosha, WI. He received his ‘wake-up call’ and became a Christian in 1996 after his father passed away from cancer. Kal has a Bachelors Degree in music. 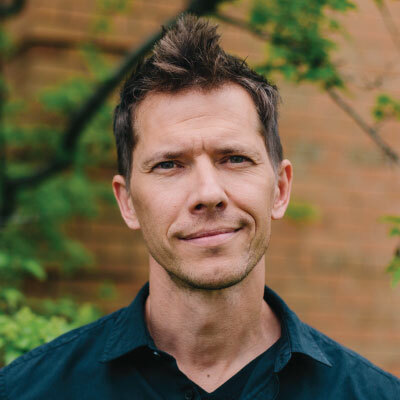 In 2001, along with Teresa Reynolds, he founded Living Light School of Worship, a nine-month discipleship and music program that has since trained students from all over the world. In addition to being a Co-Director of the school, Kal was appointed as an elder in Living Light Pleasant Prairie in 2010. Kal and his wife, Shanon, were married in 1999 and have four children: Judah, Arden, Avery, and Adelynn.